Global change is affecting marine ecosystems through a combination of different stressors such as warming, ocean acidification and oxygen depletion. Very little is known about the interactions among these factors, especially with respect to gelatinous zooplankton. 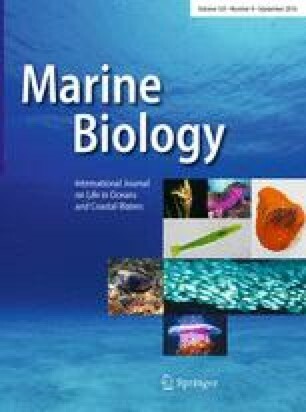 Therefore, in this study we investigated the direct effects of pH, temperature and oxygen availability on the moon jellyfish Aurelia aurita, concentrating on the ephyral life stage. Starved one-day-old ephyrae were exposed to a range of pCO2 (400–4000 ppm) and three different dissolved oxygen levels (from saturated to hypoxic conditions), in two different temperatures (5 and 15 °C) for 7 days. Carbon content and swimming activity were analysed at the end of the incubation period, and mortality noted. General linearized models were fitted through the data, with the best fitting models including two- and three-way interactions between pCO2, temperature and oxygen concentration. The combined effect of the stressors was small but significant, with the clearest negative effect on growth caused by the combination of all three stressors present (high temperature, high CO2, low oxygen). We conclude that A. aurita ephyrae are robust and that they are not likely to suffer from these environmental stressors in a near future. We want to thank our colleagues from R/V Aade, as well as Saskia Ohse, Ursula Ecker and Sylvia Peters for technical support. Thanks also to Dr. Björn Rost and his group (Alfred-Wegener-Institut Helmholtz-Zentrum für Polar- und Meeresforschung, Phytoplankton Ecophysiology), specially to Laura Wischnewski, for hosting and helping us with the carbonate chemistry analyses. We also thank Dr. Luis Giménez Noya (Bangor University) for statistical advice. Financial support for this study was provided by the German Ministry of Education and Research through phase II (BMBF, FKZ 03F0655A) and III (BMBF, FKZ 03F0728B) of the BIOACID (Biological Impacts of Ocean ACIDification) project.